Traveling to Mexico is not as expensive as I thought. If you know how to find good deals on travel tickets, packages and place to stay, you will be in good hands. My sister is one of the privilege person who has a husband that can provide not just her needs but as well as her capricious. Well, when she mentioned to me that they will be going to Mexico I got jealous. I love to travel and traveling with family is always complicated compared to traveling alone. Anyway, they travel to Mexico as a group that she met in Las Vegas. They stayed in one of the luxury resort in the area. I envy my sister for having lots of travel opportunity and besides they don't kids which makes all their travel and vacation easy. Moreover, if you plan to travel soon I would suggest to try the all inclusive holidays so you will get most out of your travel spree which means that you pay one set price for just about everything, including flights, accommodation, food and drinks. You also get the chance to pick and choose what you would want to eat. Book a cheap all inclusive holidays at Holidayhypermarket for the ultimate in luxury and convenience. Feel free to visit their website or simply click the link provided for more information. Traveling is expensive but the fun and excitement you will about to experience is priceless. So, what are you waiting for? Check it out now! 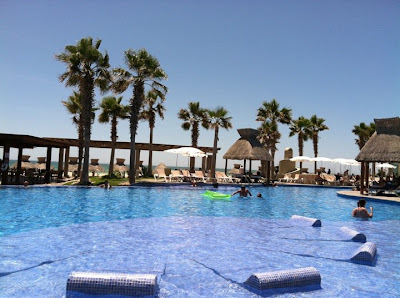 It is great that your sister will be going to Mexico with her hubby and friends in an all inclusive holiday package. Is she Lou or is she another one? Thanks for the post. God bless you all always. My college bestfriend residing in California has just spent a week in Mexico. Pagka-nindot sa ilang mga hulagway with her bana, libre pa makalaag kay wa pa may baktin! Hehee... Ipauna lang na imong sister, she, uban lang ta sunod. Hahaha. I have two mates in school from Mexico and they described there country as one of the best place to visit. Hubby said that he likes Mexico when he went their last 2004. I might go there too. i hear you mommy sheila. couples without kids have the great advantage of traveling and not pinching pennies for a Holiday Travel. must lots of attraction in Mexico. I heard they got the Our Lady of Guadalupe shrine there.